🔊| Hosted by Ben Lind, this podcast brings leaders from both these sectors to the mic and gets them to share ideas, solutions and best practice when it comes to innovation. Talking Utilities #12 Matthew Roderick, Owner & Founder - N3rgy. In the Eleventh episode of Talking Utilities, I was joined by Peter Allan, MD & Founder of Surple. Surple are a British Start-up helping companies to better engage their teams around their energy consumption. 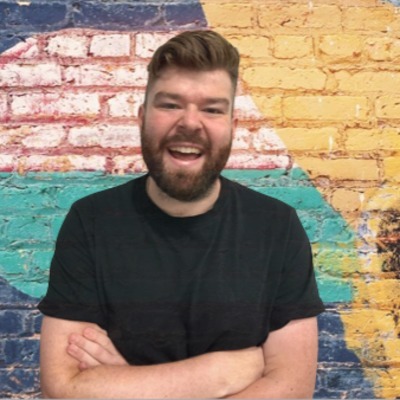 We talked about what it's like to start a company in the energy sector, how businesses can use things such as gamification to better engage their team members and Peter gave us a couple of great suggestions for what he's expecting to hit the industry in 2019 and beyond. Enjoy everyone! It's episode 10 of Talking Utilities and we've brought you another cracking guest. 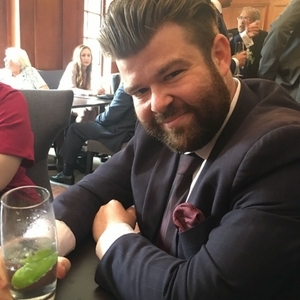 Stuart Mitchell is an enterprise architect with a career that spans both the water and power sectors as well as spending some time at one of the regulators. Stuart broke down his role, shared some best practice for starting a transformative journey and explained how bigger utilities can prepare themselves to partner with smaller, more agile partners. Enjoy! Talking Utilities #8 - John Hutchins, Head of Smarter Living, EDF Energy Blue Lab. In the eighth episode of Talking Utilities, I was joined by John Hutchins, Head of Smarter Living at EDF Energy Blue Lab Blue Lab are the innovation arm of EDF Energy's commercial department We got into the importance of an innovative culture, what an incredible time it is for technology in the sector and John spoke to us about how important it is for utilities to diversify their product offering and how energy and a connected home can become synonymous. Huge thanks to John for being on the show. Talking Utilities #7 - Killian O'Connor, Co-Founder, Solo Energy. In the seventh episode of Talking Utilities, I was joined by Killian O'Connor, Co-Founder and COO of Solo Energy. Solo are building a virtual power plant which allows a connected network of homes and businesses to store excess generated energy. We discussed the proliferation of EVs, busted some myths about renewable energy generation and speculated on what a better connected country might mean for the environment. Thanks to Killian for joining me. 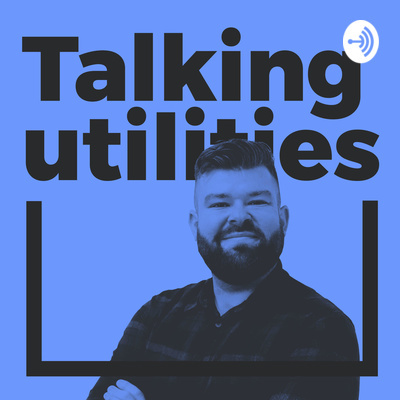 In the sixth episode of Talking Utilities, I was joined by Adam Rowlands, Head of Digital Operations Support at British Gas. Adam brings 17 years of experience at British Gas to this episode and was able to offer a really wide view of what innovation means at a monolith like British Gas. We also discussed the importance of an omnichannel approach to customer comms and expanded on what sort of user-research goes in to the different iterations of their mobile and web platforms. Not to be missed this one, enjoy! In the fifth episode of Talking Utilities, I was joined by Hakan Ludvigson and Will Ephraim of the brilliant Eliq.io We talked about how their bespoke software platform is helping energy suppliers better engage their customers. We also covered differing trends in energy consumption between the UK and Europe and the guys gave me their big bets for the next big technological implementation in the energy sector. Talking Utilities #4 Tali Harif, Innovation Portfolio Manager. In the fourth episode of Talking Utilities, I was joined by Tali Harif, most recently Innovation Portfolio Manager at Severn Trent Water. We discussed topics such as the slow adoption of innovation within the sector, which other countries are leading the way and Tali gave us a breakdown of some of the more impressive innovative practices she's seen during her career. Talking Utilities #3 Joanne Smalley, Communications - Solo Energy. For the third episode of Talking Utilities, I was joined by Comms Advisor for Solo Energy and MD of Cardain Communications, Joanne Smalley. We discussed topics such as home battery storage, attitudes towards technology within the "Big Six" and how that differs from small suppliers. Joanne also spoke about some of the newer suppliers approach to customer communications and how technology is used as an enabler of this approach. For the second episode of Talking Utilities, I was joined by Head of Product Development for British Gas Lite, Tim Troy. We discussed topics such as creating a spin-off brand from an existing bigger brand, customer profiling, the importance of failing fast and making sure the customer is at the heart of everything you do. For the first episode of Talking Utilities I was joined by Head of IS Strategy and Enterprise Architecture at Northumbrian Water, Martin Jackson. We discussed topics such as innovation in the water industry, how the Amazon Echo is opening up new channels for customer engagement and some of the biggest challenges facing the wider utilities sector.